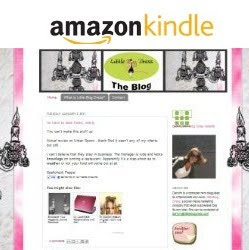 The Little Blog Dress: Skinny and Clean: Eating on the Go! Rickland Orchards Has Saved Me! Ok, that is a little dramatic but I am a tad obsessed with Rickland Orchards Greek Yogurt Coated Granola Bars. I am the worst at making sure that I eat something before yoga or a run. I know that it is important to keep your metabolism solid blah blah...but I am just not very good at it. This was until I was introduced to the awesome of Rickland Orchard Bars. They come in a ton of different flavors, and they are just what you need to get great protein and some balance any time of the day. Rickland has a good blog about it here. 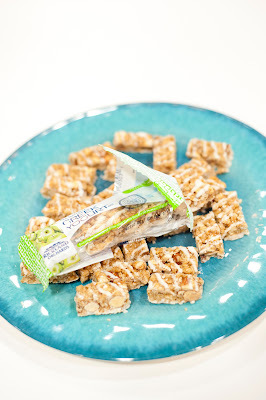 The Greek Yogurt craze has become a national phenomenon over the past few years, and Rickland Orchards Greek Yogurt Bars have taken it to the next level! They are the first shelf-stable Greek Yogurt product, and combines all-natural ingredients (fruit, Greek Yogurt, nuts and granola) to create a delicious and nutritious on-the-go snack. They are a low calorie, low fat, filling and delicious snack that is perfect for parents, children, busy and on-the-go professionals, or anyone that wants to munch on a travel friendly snack without the guilt. 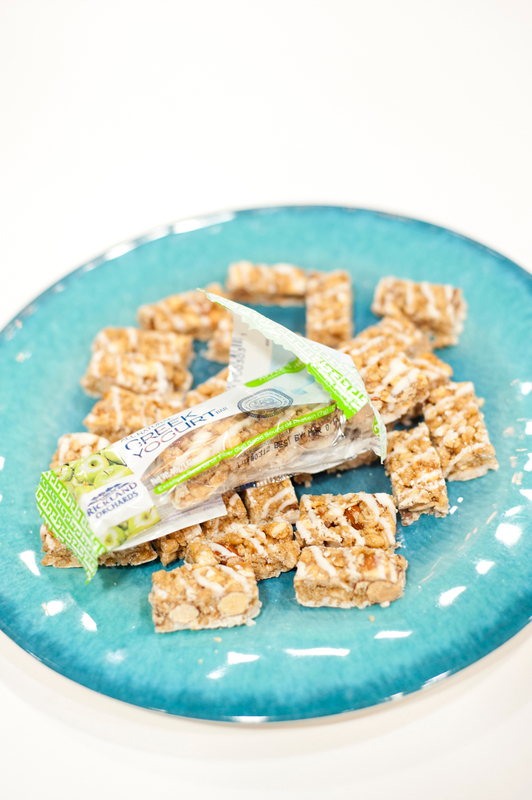 Rickland Orchards Greek Yogurt Bars contain all natural ingredients, 5g of fiber, 7g of protein, and probiotics. Apparently I am not alone in this worship! One of my favorite foodies Hungry Girl has been raving about Rickland Orchards and Maria Menounos has recently signed on the be the face of the Rickland Orchards Brand! She will promote healthy living and well-balanced lifestyle through a variety of videos, images, health tips and will even create her own flavor! Just in time for the holidays, Rickland introduces two new flavors: Strawberri and Peanut Butter According to Hungry Girl Lisa-The Strawberri bars taste like Strawberry Pop-Tarts, and the Peanut Butter flavor (with dark chocolate) is predictably delicious! Packed with protein and fiber, each bar has 150 - 170 calories and 4 - 8g fat (PointsPlus® value 4*). Buy 'em online -- they'll be launching in stores soon!